"Although his father was not there to walk beside us we felt his presence." One smiling kindergartner received a warm welcome on his first day of school this week. Ontario resident Gregg Casillas was escorted to class on Aug. 29 by a slew of police officers, many of whom worked with his late father, Greggory Casillas, at the Pomona Police Department. Little Gregg and his mom, Claudia Casillas, were greeted by police chief Michael Olivieri and officers from Pomona as well as Upland and Ontario’s departments. (Raul Lozano) Gregg Casillas received a warm welcome to school by the officers of the Pomona Police Department. 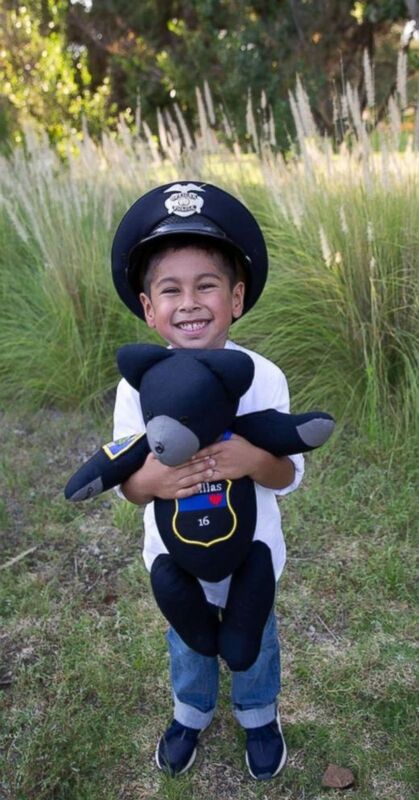 "I knew that this would help make his day special," Claudia Casillas said in a statement to "Good Morning America." "Our morning that day started with a couple of tears because my son did not want to go to school. The fact that he knew that I would not be staying with him was a little scary." She went on, "Although his father was not there to walk beside us we felt his presence through the people that took the time to celebrate and cheer for my son on his first day of school." 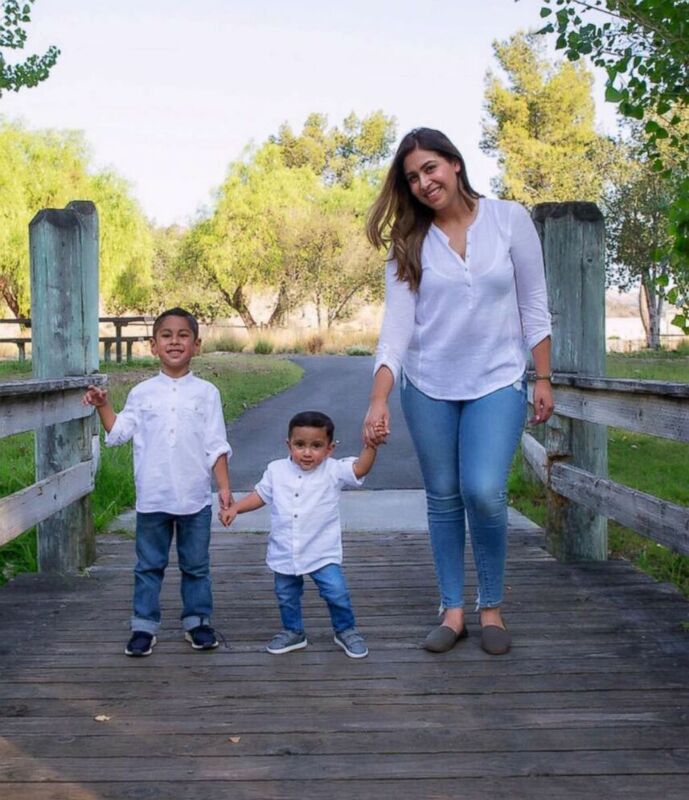 In March, Greggory Casillas, 30, died in the line of duty from injuries related to a shooting in Southern California. He was survived by his wife and two children. 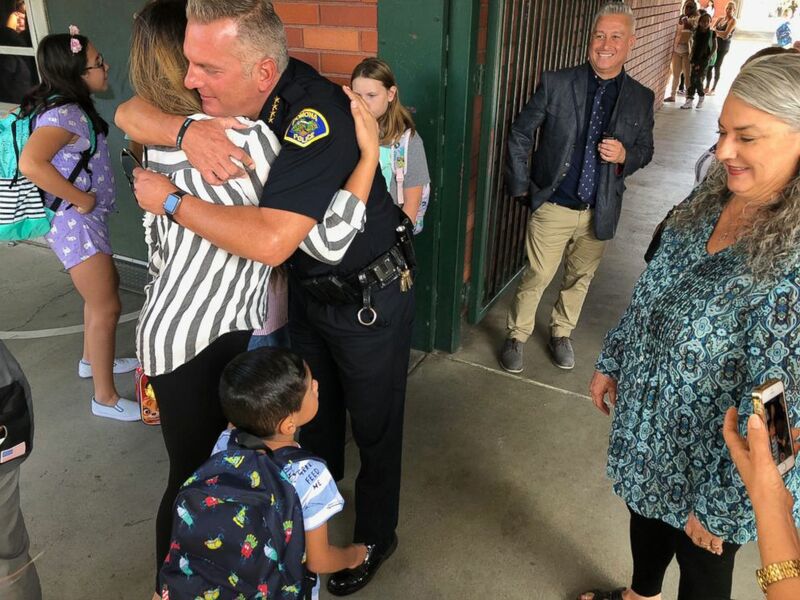 (Pomona Police Department) Gregg was met at his school with hugs and applause from Chief Michael Olivieri and officers of the Pomona Police Department. Olivieri said the local departments wanted to make Gregg's first day of school one he would remember forever. 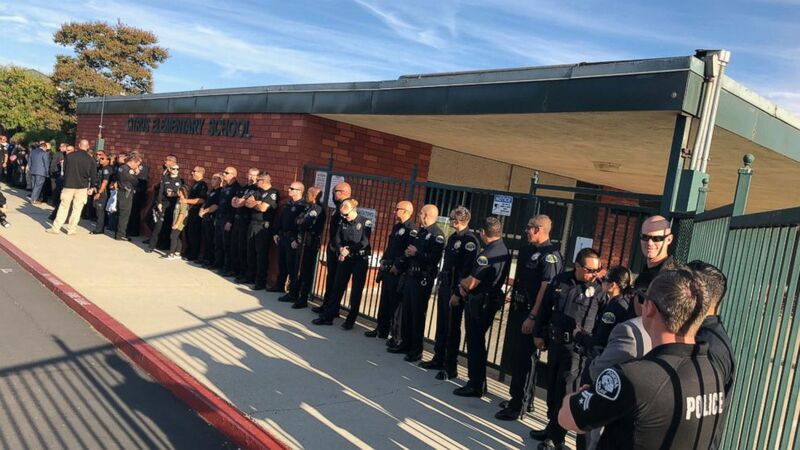 (Pomona Police Department ) Gregg Casillas, 4, son of Officer Greggory Casillas, received a warm welcome on the way to school by his father's colleagues.